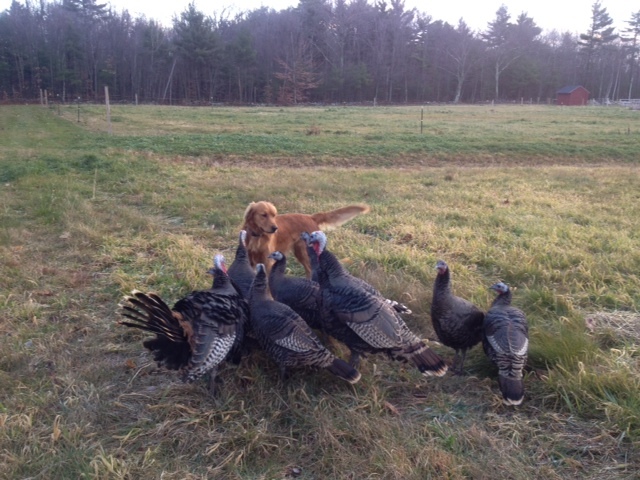 This spring, my 4-year-old golden retriever Sandy adopted a small flock of very needy turkey chicks. 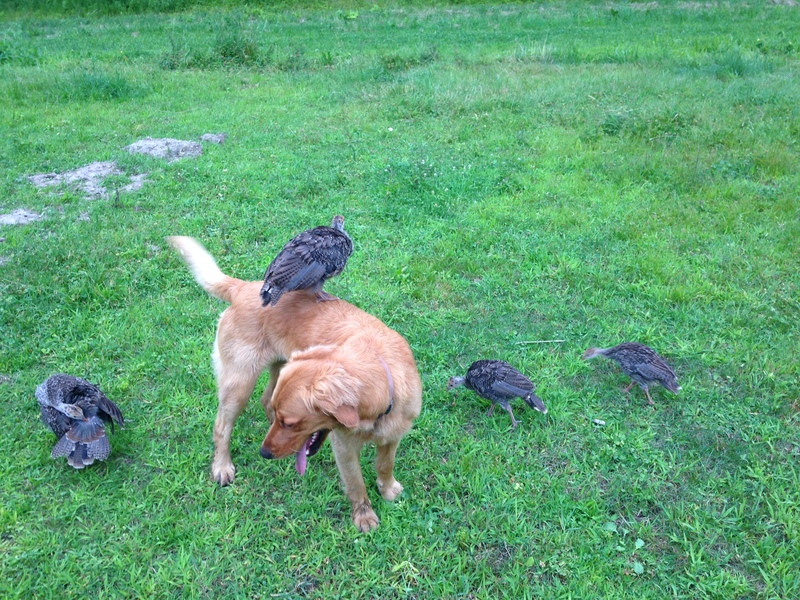 All spring and summer, as the turkeys followed her around the yard, Sandy protected the chicks from the foxes and coyotes that frequent our neighborhood. By the time fall came, the turkeys were big enough that they could fend for themselves and they no longer needed her protection. But they never stopped needing her friendship and still come by every day to say hello. This Thanksgiving, I am thankful for many things, but none more than the great friendships I have been fortunate to make over the years, many of them with my coworkers here at UMass Memorial. Thanks to all of you for your dedication to our patients, especially our caregivers that are working this Thanksgiving. This entry was posted in ; UMass Memorial Health Care, Employees and tagged Happy Thanksgiving by Eric Dickson, MD, MHCM. Bookmark the permalink. I love this story! I assume you did not have one of these turkeys for dinner, correct? That is too cute. We have our own flock that come by for a daily feeding of cracked corn, but they don’t feel any love for our two dogs! This is a wonderful story, which I thoroughly enjoyed. You are very fortunate to see such a beautiful interaction. A holiday card from Nature! Wishing you all the best in this joyful season, and thanks very much for the fleece – I really appreciate the gift!